On Monday, the FDA granted connected health company Fresca Medical a de novo authorization to market its Curve device, a positive airway pressure delivery system that treats obstructive sleep apnea. "Fresca Medical is committed to developing disruptive and effective technologies for sleep apnea sufferers who cannot tolerate the currently available therapies," John Cox, president and CEO of Fresca Medical, said in a statement. "FDA clearance of the Curve System for obstructive sleep apnea is our first step towards becoming a recognized innovator in sleep apnea. Our breakthrough technology provides physicians the opportunity to offer a new breathing experience for patients who don't want or cannot tolerate [continuous air pressure delivery system (CPAP)] therapy." 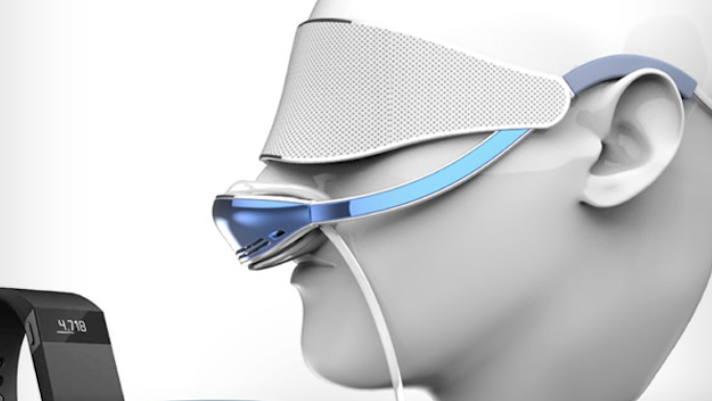 The Curve includes a flow generator, a lightweight and ergonomic air delivery hose, and a nasal pillow. The company said the device is different from typical CPAPs because of its SmartValve technology, which it noted uses less airflow than other systems and could lead to higher rates of adherence forthose with sleep apnea. Curve will be able to connect to the cloud through both a smartphone app and a HIPAA-compliant data exchange channel. Through these, the device can better provide information to patients, providers, and medical suppliers while offering patient support and compliance reports, Ed McCarthy, director of business development at Fresca, told MobiHealthNews in an email. Sleep apnea has been a growing area in digital health, and Curve isn't the only connected CPAP that's entered the market over the last year. In January of 2017 ResMed, one of the key players in the space, landed FDA approval for its AirMini CPAP device. This offering connects to a smartphone app, which allows patients to see their data over time and provides coaching. In November the device added a new feature which allows clinicians to remotely monitor patients.